The college you attend will shape your future. Many students and their families find the college selection and application process overwhelming. A skilled college counselor can facilitate planning, exploring options, and careful preparation to meet the student's best interests. 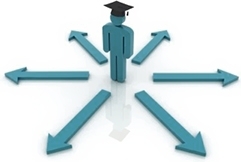 An experienced counselor can be a student's personal resource in identifying colleges that best fit a student's specific preferences, personality and individual needs and help present the student's unique accomplishments, talents, and abilities in the best possible way to increase the probability of admission. A qualified independent counselor can devote undivided attention, when a school guidance counselor may be assigned too many students, as well as many responsibilities other than college counseling. Susan Taub, an independent college counselor, can help you to achieve your goal of finding the best colleges for you and to attain a successful admissions outcome. Copyright © 2019 College-Wise. All rights reserved.